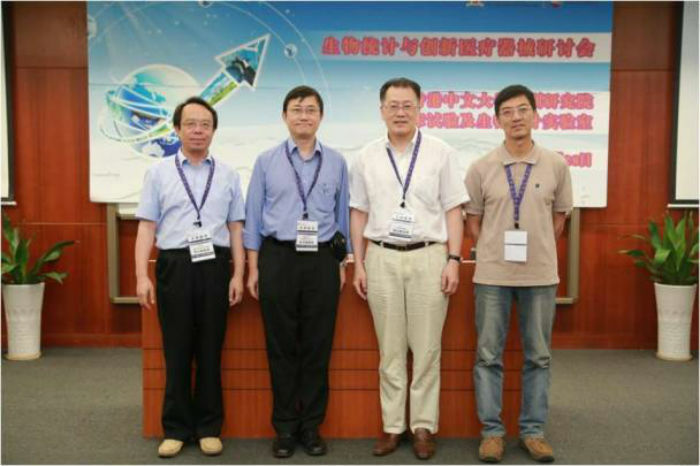 The Biostatistics and Medical Devices Innovation Symposium was held on June 28, 2014 sponsored by the Division of Biostatistics of the Chinese University of Hong Kong and the Clinical Trials and Biostatistics Lab of the CUHK Shenzhen Research Institute. The Symposium was held in CUHK Shenzhen Research Institute, 3rd Floor Bowen Auditorium. The meeting was chaired by Professor Haitian Wang of the Chinese University of Hong Kong, and attended by more than 70 people, including representatives from the major hospitals in Shenzhen and more than 50 company’s research and development experts.